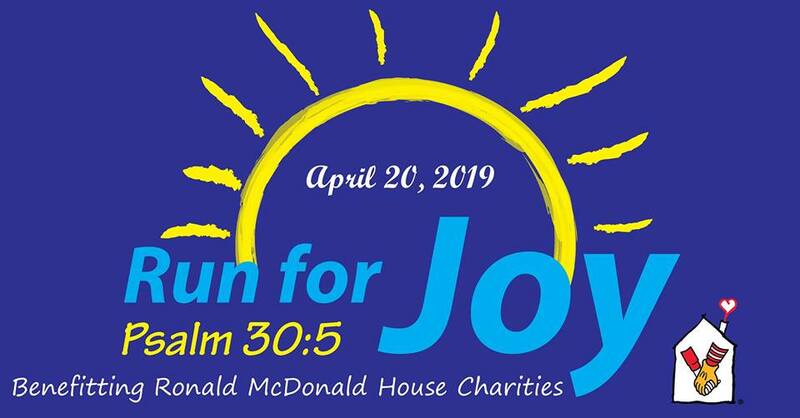 Join us for the fifth annual Run for Joy 5K Run/Walk benefiting the Ronald McDonald House Charities in precious memory of our daughter, Rebecca Joy Wiggins. by filling out the following form and submitting payment via cash or check. Prizes will be awarded to various race categories. All proceeds will benefit The Ronald McDonald House Charities.